The Ninth Annual SCUBA Santa event at the Olney Swim Center. 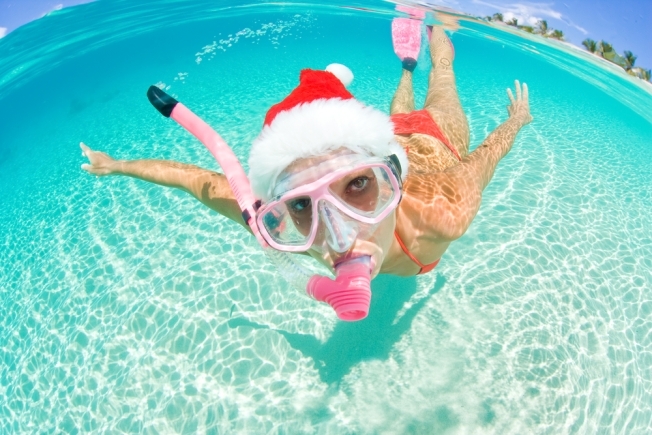 Professional divers will suit you up and help you swim to Santa's lap in the center's pool. We're not sure how Santa hears what you want for Christmas, but it sounds like a good way to create a unique holiday card. Plus, all you have to do to pay for the photo is make a donation to the Manna Food Center -- i.e., bonus holiday karma. Last year, the Montgomery County food bank netted more than 600 hundred pounds of food and $600 in donations from the event, which has been going on since 2001, with equipment, photographic and safety support from the Brass Anchor SCUBA Center in Frederick, Md. The event starts at noon and runs 'til 4 p.m. at the Olney Swim Center, off Georgia Avenue and Emory Lane in Olney.